Surprisingly, even though I remember this dramatic song from the eighties, it only reached #46 in the UK and #57 in the U.S., although it did manage a more respectable #28 in the band's home country of Australia. 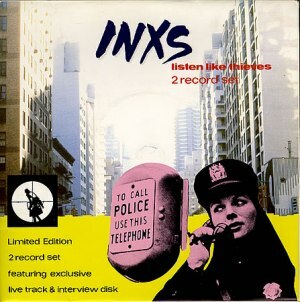 Listen Like Thieves was the third single and title track from INXS's fifth studio album. The B-side featured a track entitled Different World which featured on the Crocodile Dundee movie soundtrack. The band's first UK Top 40 hit came with the release of their next single, Good Times, on which they teamed-up with the Scottish-born Australian singer/songwriter Jimmy Barnes. 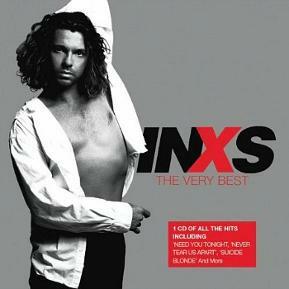 This reached #18 (#2 in Australia) and featured on The Lost Boys soundtrack. The song was a cover of The Easybeats tune from 1968. This video features not only a live performance of Listen Like Thieves, but also a flirtacious interview by Paula Yates with Michael Hutchence. Hutchence and Paula Yates went on to have an affair and Yates gave birth to a baby daughter shortly after divorcing Bob Geldof in 1996. Sadly, it all came to a tragic end as Michael Hutchence, allegedly, committed suicide in 1997 and Paula Yates died of a heroin overdose in 2000. It was the next single release, Need You Tonight, that gave the band the breakthrough they were looking for in the UK, although they had already been successful in America with the previous three albums.